An exciting next chapter in Toyota’s storied North American product history has been revealed under the lights of the Los Angeles Convention Center. Stylish, athletic, and tech-filled, the all-new 2018 Toyota C-HR – or, “Coupe High-Rider” – represents a leap forward in design, manufacturing and engineering for Toyota. When it arrives at dealerships next spring, the C-HR will serve as a solid springboard of excitement, adventure, and pride for its fashion-forward, trendsetting owners. Last year at the Los Angeles Auto Show, Scion debuted its stunning C-HR Concept. 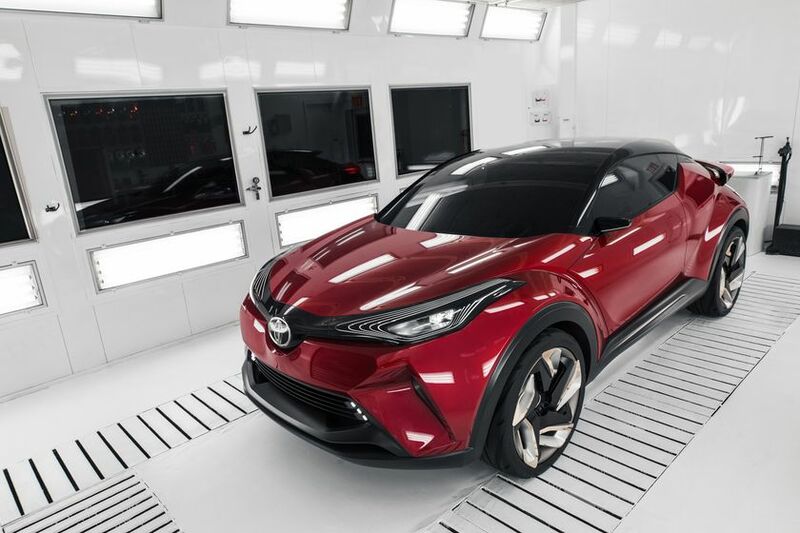 That well-received design study set the stage for the Toyota C-HR, which, nearly to the tee, carries on the concept’s avant-garde physique, modern, comfortable cabin, and bold, outgoing character.